An interesting find, located in the Nimocks Archives at Headquarters house, is this garden book. 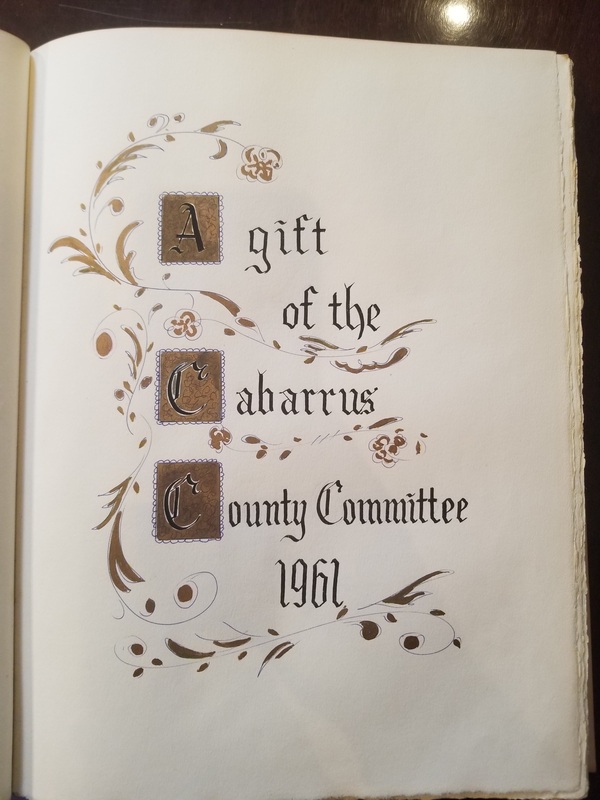 The Garden Book was donated to the Headquarters House by the Cabarrus Committee in 1961. 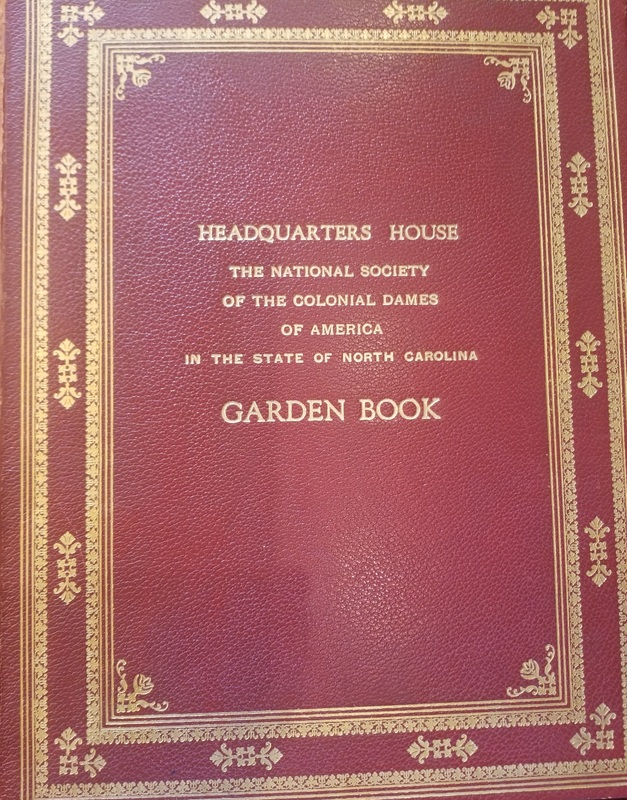 This book kept the record of the donations given to the gardens at Headquarters. By keeping such a well-recorded list of donations, it means we are able to see who has contributed items to the gardens that we may not have known otherwise. 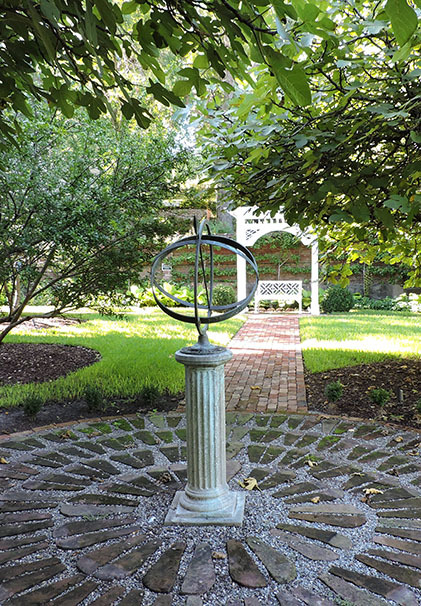 An example of this is the gorgeous sundial that sits in the middle of the orchard, donated by the Mecklenburg Committee. To enlarge an image, first, click anywhere on the page. On Mac computers, hold down the Command and + keys. On a PC, hold down the Control and + keys.